– Davert, a Canadian company that provides solutions for metal fabrication, engineering, design and prototype needs, has selected Bowling Green for its first U.S. location. The company is investing $2.3 million to purchase equipment and plans to lease a building in Bowling Green to house the operation. The new location will create 20 full-time jobs. – Kobe Aluminum Automotive Products is investing $11 million to expand its operations in Bowling Green, where it forges aluminum suspension products for the automotive industry. The expansion project will enable the Bowling Green plant to produce cast aluminum bars for vehicle air conditioning compressors, which are currently made in Japan. The expansion will add 15 full-time employees to the existing 200-member staff. – Thirty-six employees have been laid off from Campbellsville Apparel and another dozen have taken retirement as a result of a decreased demand for the military clothing the plant has produced for the U.S. Defense Logistics Agency for the last 10 years. Campbellsville Apparel President Chris Reynolds said in a press release that reductions in the U.S. defense budget are resulting in less demand for the T-shirts and briefs produced by the plant and left the company with no choice but to cut staffing. The layoffs leave the plant with a staff of 109. – Automotive supplier INFAC North America Inc. is investing $6.5 million to build a new 100,000-s.f. manufacturing, assembly and warehouse facility in Campbellsville. The new building will be nearly double the size of the company’s existing space and will allow for increased manufacturing of brake and transmission control cables. INFAC was established in South Korea in 1969 and opened its U.S. operation in Campbellsville in 2008. The company currently has 60 employees and plans to add 20 employees to support the expansion. St. Elizabeth Healthcare has joined the Mayo Clinic Care Network, becoming the first health system in the Kentucky/Ohio/Indiana region to have passed Mayo’s review process and be selected as a member of the year-old network. St. Elizabeth physicians will now be able to connect with Mayo Clinic specialists on questions of patient care using electronic consulting and will have access to Mayo-vetted medical information. Founded in 1861, the Edgewood-based healthcare system is one of the region’s oldest and largest medical providers, with six facilities throughout the Northern Kentucky area. Bluegrass Cellular, an Elizabethtown-based telecommunications company, has launched the first phase of its 4G LTE network as part of the Verizon Wireless LTE in Rural America program. The cities of Bowling Green, Elizabethtown, Glasgow, Radcliff and Bardstown are among the first to experience significantly faster data speeds on their wireless devices as a result of the network launch. Bluegrass Cellular 4G customers and Verizon Wireless customers will now have access to LTE-speed data services within Bluegrass Cellular’s 4G LTE coverage areas and Bluegrass customers will also have access to Verizon’s 4G LTE network throughout the United States. The 23rd annual Toyota Opportunity Exchange event held by Erlanger-based Toyota Motor Engineering & Manufacturing North America drew some 1,600 people last month to what has become one of the largest minority business events in the country. The two-day event provides minority-owned businesses the chance to network with Toyota’s direct suppliers. Over the last two years, more than $75 million worth of contracts has been generated by minority business enterprises as a result of the Opportunity Exchange event. Peoples Bank of Kentucky, a Flemingsburg bank that has six branches in Fleming and Mason counties, has acquired Salt Lick Deposit Bank, a subsidiary of Central Bancshares that operates two branch locations in Bath County. Under the acquisition agreement, the Salt Lick branches will operate under the Peoples Bank name. Financial details of the agreement have not been disclosed. Pomeroy, a Hebron company that provides managed services to optimize IT infrastructure, has acquired the assets of BluePoint Data Inc., a Florida company that provides a comprehensive menu of cloud-based managed services for networks, servers, storage, security, applications and databases. The acquisition strengthens Pomeroy’s remote monitoring and management offering, doubling the size of its portfolio of devices under management, and will also allow the company to deliver enhanced managed cloud services for those clients seeking a private cloud platform. Financial details of the transaction have not been disclosed. – Transylvania University has received a $5 million restricted endowment-matching grant from the William R. Kenan Jr. Charitable Trust to establish the William R. Kenan Jr. Endowment Fund for Student Scholarships. It is one of the largest single gifts the university has ever received. The conditions of the grant require that Transylvania raise an additional $5 million over the next three years to fully establish the endowment. – The law firm of Stoll Keenon Ogden has announced plans to open an office in Evansville, Ind., that will focus on mineral and environmental law. The new location is expected to open in February and will be the seventh location for the firm and the second location outside Kentucky. In addition to its Lexington headquarters, SKO has offices in Louisville, Frankfort, Henderson and Morganfield, Ky., and opened an office earlier this year in Pittsburgh, Pa.
– The state has conveyed approximately 12 acres in Lexington that previously served as the site of the Department for Juvenile Justice complex to the Kentucky Community and Technical College System (KCTCS). The land will be used to provide for future growth and program offerings at Bluegrass Community and Technical College’s new campus on Newtown Pike that is now under development. The property currently includes seven buildings, which will be thoroughly assessed to determine the scope and cost estimate for renovation. Renovations are scheduled to be complete by the end of 2013, with BCTC occupancy and use starting in January 2014. – Webasto Sunroof Systems Inc. is investing $10 million to increase manufacturing capacity and upgrade equipment at its plant in Lexington, creating 65 new full-time jobs. The Germany-based company’s Lexington plant, which currently employs nearly 650 employees, is Webasto’s largest U.S. production site for sun and panorama roofs. Webasto has been developing and manufacturing products for the automotive industry for more than 75 years and has grown into one of the world’s largest 100 suppliers for the automotive industry. – Blue Grass Airport is now offering mobile boarding pass check-in for passengers flying with American, Delta, United and US Airways. Passengers can retrieve their mobile boarding pass by checking in on their airline’s website or mobile app and choosing to have their boarding pass emailed directly to their mobile device. They then scan the barcode on their mobile boarding pass at the TSA checkpoint and again at the gate upon boarding. If connecting at another airport, passengers are encouraged to check with their respective airline to see if their next airport offers mobile check-in as well. In the event that it does not, passengers can check in at their airline ticket counter to print a paper boarding pass. 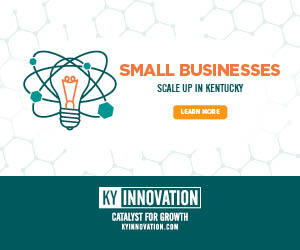 Goldman Sachs and the Goldman Sachs Foundation have pledged $5.5 million for Kentucky businesses through the Kentucky Highlands Investment Corp. Of that, $5 million will go directly into KHIC’s loan fund and will be available for lending to small businesses located in low- and moderate-income areas throughout Kentucky. Another $250,000 will be used as a loss reserve grant, and the remaining $250,000 will be used to build the capacity of KHIC so that it can continue to provide vital business services to Kentucky entrepreneurs. KHIC works to stimulate growth and create employment opportunities in a 22-county region of southeastern Kentucky. – All-electric buses with zero air polluting emissions will become part of Louisville’s public transportation fleet as a result of a $4.4 million federal grant awarded to The Transit Authority of River City (TARC). The grant from the Federal Transit Administration Clean Fuels Program will pay for five electric buses that will replace the oldest, high emission trolleys now circulating downtown along Fourth Street and the Main-Market corridor. The electric buses are expected to be in operation in about a year. – Southwest Airlines is now offering daily nonstop flight service between Louisville and Denver. Southwest is utilizing the 143-seat Boeing 737 aircraft for the route. Flights depart Louisville at 4:05 p.m. EST and arrive in Denver at 5:10 MST. Departures from Denver are scheduled for 11:15 a.m. MST, arriving in Louisville at 3:40 EST. – Pediatric cancer researcher Dr. Kenneth Lucas has joined the University of Louisville Department of Pediatrics, bringing with him a Phase 1 trial of a vaccine to prevent the recurrence of neuroblastoma and sarcoma, which are among the most common and deadly of all childhood cancers. The trial began at Pennsylvania State University 18 months ago and has already generated referrals from around the world. – Dupont is closing its Solae plant in Louisville, where it produces soybean-based coatings used to protect cardboard packaging. The Delaware-based company said economic conditions were the driving force behind the decision to close the plant, which has been in operation since 1919 and has become a well-known Louisville landmark: Its silos sit alongside I-65 adorned with a large “University of Louisville” banner. The plant is slated to close by Dec. 31 and will eliminate 38 jobs. The company is cutting a total of 1,500 jobs after a disappointing third-quarter earnings report.  – Southern Graphic Systems Inc., a wholly owned subsidiary of Louisville-based graphics services company SGS International, has acquired Stevenson Color Inc., a Cincinnati company that is a fully integrated provider of graphics services. Stevenson, which has been in business since 1926, has more than 170 employees and is managed by the fourth generation of the founder’s family. Stevenson will continue to operate under the Stevenson Color name with current management remaining in place. Financial details of the transaction were not released. SGS International was acquired in October by private equity firm Onex Corp.
– Spalding University has received a $5.4 million grant from the U.S. Department of Health and Human Services that will be used to assist economically disadvantaged students. The grant will support students in Spalding’s occupational therapy, clinical psychology and social work programs, with the goal of increasing diversity in the health professions. – Deyta, a Louisville company that measures healthcare quality, has announced plans to acquire Amplicare, an Alabama-based provider of decision support tools for hospice and home care organizations. According to Deyta President and CEO J. Kevin Porter, the acquisition of Amplicare strengthens Deyta’s technology platform and will dramatically improve how post-acute care providers manage their business. Amplicare will assume the Deyta name, but will retain its office in Birmingham. The acquisition is expected to be complete by the end of December. – ConeXus World Global, a two-year-old Louisville IT services and solutions provider, is expanding its operations with the addition of a 7,200-s.f. technical center that will handle support and dispatch operations. The $1.8 million expansion will create 30 new full-time jobs and will help fulfill the company’s growing installation service agreements for the mobile telephone technology. The company currently has eight Louisville employees and two employees at a satellite location in Belgium. The Kentucky Public Service Commission has accepted a proposed settlement in a rate adjustment case filed by Big Sandy Rural Electric Cooperative Corp. Under the agreement, Big Sandy RECC will receive its requested 3.7 percent increase in annual revenue, but the settlement requires that more of the increase be generated from usage-based energy charges rather than a flat monthly customer charge. The increase will raise the cooperative’s annual revenue by approximately $911,000 to $25.3 million. Big Sandy RECC serves about 13,200 customers in Breathitt, Floyd, Johnson, Knott, Lawrence, Magoffin, Martin and Morgan counties. Eastern Kentucky University and the University of Kentucky have launched a joint initiative to help prepare students for success in doctoral degree programs and careers in biomedical research. Funded by a five-year, $1.8 million grant from the National Institutes of Health, the Kentucky Bridge to a Biomedical Doctorate for Appalachian Students program will allow students from the Appalachian region to attain a master’s degree at EKU in either chemistry or biological sciences while performing biomedical related research. Upon completion of the master’s degree program at EKU, “Kentucky Bridge” students will have the opportunity to transition to the UK Integrated Biomedical Sciences program, where they can pursue doctoral studies in biomedical research. The universities hope to have applicants begin in the coming Spring 2013 semester. CCI Industrial Services is investing $1.2 million to expand its manufacturing operations in Somerset. The company, also known as Cable Contracting Inc., will move its existing 2,400-s.f. operation into a 20,000-s.f. facility and plans to add 10 new full-time jobs. CCI Industrial Services opened in Somerset in 2011 and currently employs 37 people. The company uses raw materials such as steel, plastic and wood to manufacture products customized specifically for customers. Its services include machinery moving, piping system installations and repair, sheet metal and duct work, conveyor design, as well as overhead bridge crane installation and removal. Affinia Brake Parts Inc. is eliminating 75 jobs at its plant in Lincoln County by the end of the year. Affinia currently employs approximately 300 people in Lincoln County, making it one of the community’s largest employers. According to the company, the cutbacks are tied to a decreased demand in North America and excess global capacity. A $500,000 state grant will be used to help build a Career Path Institute at Todd County Central High School that will offer vocational training classes for high school students during the day and adult vocational and technical training courses sponsored by Hopkinsville Community College in the evening. Among the courses offered by HCC will be electrician training, household plumbing, welding, business courses, computer science, construction, computer-aided design, hydraulic/pneumatic troubleshooting and engineering. The loss of a federal contract has resulted in Computer Sciences Corp. laying off virtually its entire 250-member staff in Williamsburg. The company’s contract to handle record digitization services for the U.S. Citizenship and Immigration Services ended Oct. 31 and has not been renewed. Asbury Theological Seminary dedicated two new single-student housing facilities last month that are part of the largest housing construction expansion in the seminary’s history. The two newly opened residence halls each feature 11 suites clustered around a large community space, two study rooms and a laundry facility. In January 2011, Asbury opened 100 new townhomes for married students and is currently working on Phase 2 of that project, which will include 50 more townhomes, green spaces and recreational amenities. – Universal Woods Inc., Denyo Manufacturing Corp. and Catlettsburg Refining LLC have been named as recipients of the 2012 Kentucky Manufacturer of the Year awards. The awards are presented each year based on the following criteria: innovative and entrepreneurial leadership with regard to products, production method or services; recognized leadership in making a key contribution to quality of life in the commonwealth and the community; and active involvement in organizations that advance industry and manufacturing. Louisville-based Universal Woods was the winner in the small business manufacturing category, while Danville-based Denyo and Catlettsburg Refining won in the mid-size and large manufacturing categories, respectively. – Natural gas costs at the start of the 2012-2013 heating season are projected to be lower than at any time in the last 10 years, according to the Kentucky Public Service Commission. On average, Kentucky customers can expect to pay about 12 percent less, with the average total bill for 10,000 cubic feet – including base rates – projected to be about $85.55. That is down more than $65 since November 2008 – a decrease of 43 percent over the last four years.